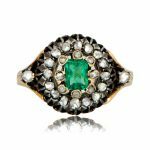 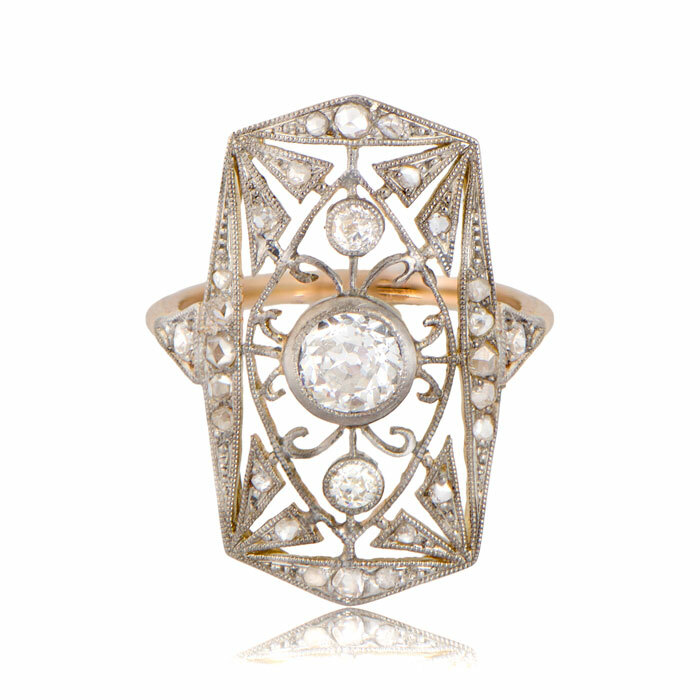 A lovely antique ring, featuring beautiful openwork filigree and old mine diamonds. 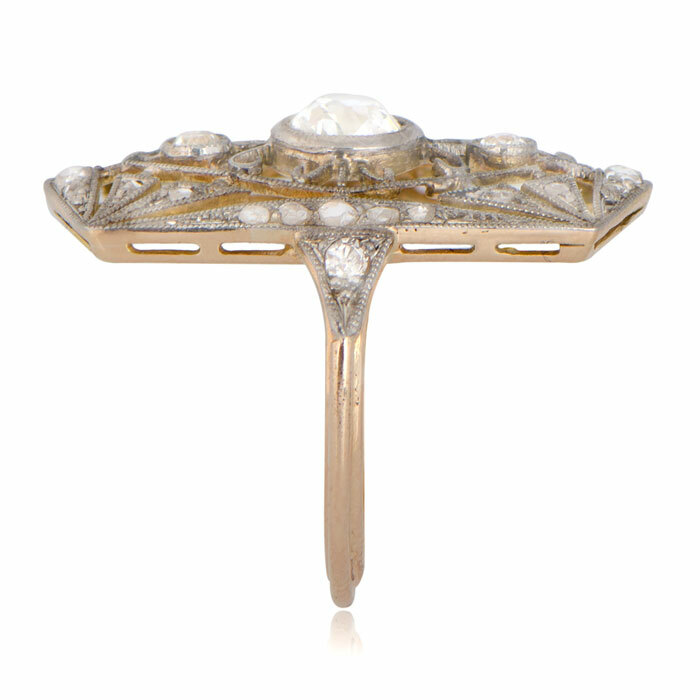 The center antique diamond is approximately 0.70ct and is bezel set in the center. 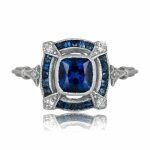 SKU: GS153 Categories: Old European Engagement Rings, Vintage Cocktail Rings Tag: Elongated Engagement Rings - Contact us and request additional pictures.